Officials from the Baseball Federation of Asia, the Chinese Taipei Baseball Association and the Baseball Federation of Japan met in Tokyo. Leading officials from the Baseball Federation of Asia (BFA), the Chinese Taipei Baseball Association (CTBA) and the Baseball Federation of Japan (BFJ) recently gathered in Tokyo to discuss a number of subjects, including the continued cooperation on efforts to return Baseball and Softball to the Olympic Games, International Tournament Calendars, equipment and the increased standardization of baseball rules. The officials also focused and agreed on strengthening cooperation to further deepen baseball’s footprint within Asia, especially to bolster and maintain baseball’s popularity among the younger generations. 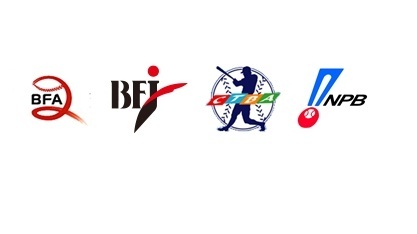 The Asia baseball officials also arranged meetings in Tokyo with the first-year CEO of Japan’s Nippon Professional Baseball [League], Katsuhiko Kumazaki, and other key NPB executives. NPB opened its 80th league championship on March 28th and the Asian Baseball officials were guests for the special “New Play Ball” opening ceremonies at the Tokyo Dome. Japan is currently ranked No. 1 in the Women’s Baseball Rankings and No. 2 in the Baseball World Rankings. Chinese Taipei is ranked No. 6 and No. 4, respectively. The Baseball World Cups will be traveling to Asia two times this year. Japan will be hosting the VI IBAF Women’s Baseball World Cup in the city of Miyazaki this September. Chinese Taipei will be staging the first-ever U-21 Baseball World Cup in Taichung in November.